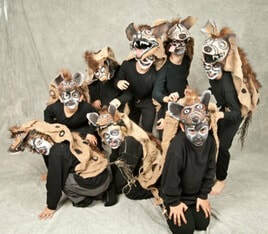 Pacific School has a long history of commitment to the performing arts. Our arts program is supported by and only possible because of Pacific School's Parents' Club. Kristin Allen-Farmer teaches weekly music classes to all students, preschool through sixth grade. Classes follow a progressive development of musical skills through singing, movement, percussion, and instruments. Music instruction for younger children is based on things children like to do: sing, chant rhymes, clap, dance, and keep a beat on anything near at hand. The approach uses poems, rhymes, games, songs, and dances and songs may be accompanied by clapping and stamping or by drums, sticks, and bells. Melody instruments include wooden xylophones and metal glockenspiels that offer good sound immediately. Played together as in a small orchestra, their use helps children become sensitive listeners and considerate participants. Older students tackle more challenging rounds, harmonies, rhythms, and instruments. Ms. Allen-Farmer works with classroom teachers to coordinate themes, cultural studies, and seasonal selections with classroom curriculum. The program is supported by Pacific Schools’ Parents’ Club. Formal concerts and fun recitals are given for parents and peers each year. Pacific School offers chorus after school for interested students in kindergarten through sixth grade. For more information, Click Here. 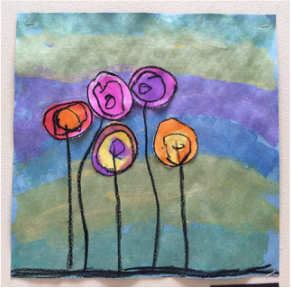 Teachers incorporate art into their classes throughout the year. In addition, the Pacific School Parents' Club has made funds available to teachers for the purchase of art supplies and curricula. The front office features a rotating display of student artwork, with each classroom represented once or twice per year. Since 2017, Pacific School has hosted an annual student short film festival. Students are encouraged to create their own films and let their creativity shine. Documentary, stop action, fantasy, and other genres are all welcome. Films are shown to the community in a festive evening occasion. Films from previous years can be viewed here. Every other year, the school puts on a play. The play brings the students and staff together in an engaging group effort. All students in grades 3-6 participate in some way or another, whether through acting, singing, stage managing, or helping with props. The photo shows a student working on the monster prop for the 2017-18 production of The Odyssey. Scripts are written or adapted by Heather McDougal and directed by Terri Steinman of WEST Performing Arts. Past shows have included The Lion King, The Wizard of Oz, Midsummer Night's Dream, and a riff on The Thousand and One Nights called Leilah and the Magic Lamp. Shows are made possible by the work of students and volunteers, and often incorporate technology and fiber arts in set and costume design. In addition to the opportunities described above, each year some classes perform their own plays, sing and incorporate music into their lessons, study dance forms from around the world, create sculptures and dioramas, etc.